2018 is predicted to be a year of transformation in the hotel industry. There are a multitude of changes coming down the pipeline, with many coming at a cost. However, these innovations aren’t necessarily bad for your business or traveling employees. Hotel prices are expected to rise, but visitors are going to receive an enhanced experience in return. Your business travel agency can fill you in on the cost of these added amenities. Every hotel is different, but here are some of the most exciting changes expected in the industry in 2018. Guy Langford, Vice Chairman and U.S. Travel Leader at Deloitte, projects that wellness is going to be the next trillion-dollar industry. 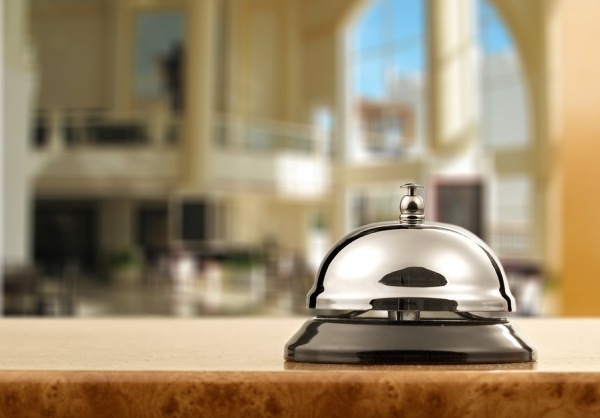 Like most businesses, hotels are trying to take advantage of the surging health industry. Hotels and resorts are taking steps to ensure their guests have access to a healthy lifestyle while staying onsite. Hyatt just purchased the spa brand Miraval, while Four Seasons, has developed wellness rooms with cleansing showers and on-demand Deepak Chopra meditation videos. These purchases are resulting in increased hotel expenses, but in return, your road warriors will experience the opportunity of better health while traveling abroad. Technology is at the forefront of the industry right now, and hotels are stepping into the future in 2018. Top chains are expected to be upgrading their rooms to be more connected than ever. Marriott is launching a program which will include a Nest intelligent thermostat system, showers that remember your preferred temperature, digital wall art that can display your family photos, and much more. Hilton has also stated that it will be testing an app-friendly room in major cities throughout 2018. The innovative room will have television, lighting, thermostat, and digital art that can all be controlled by an app on your smartphone. Being comfortable and staying connected to your home will be easier than ever with these newly implemented technologies. While spending more on hotels might be unavoidable in the year ahead, some companies are structuring their pricing in a way that should also decrease the amount of the required occupancy tax. The fees were traditionally reserved for exotic resorts, but with the advances in wellness and technology, hotels can use “resort fees” to cover their added expenses. The next time you see a resort fee on your bill, be aware it probably saved you a little money on taxes that would’ve been tacked onto an increased base-rate. The changes to the hotel industry coming in 2018 will likely bring an added quality of life to frequent travelers, but it will come at a cost. Prepare your budgets accordingly for the year to come so your travelers can enjoy the newest additions. If you need some guidance booking your next corporate trip, contact Teplis today!